The Goodies Co. 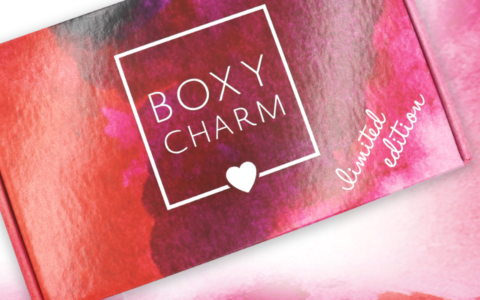 Box is a monthly food subscription service. It’s full of mix of products: healthy food, snacks, treats, etc. 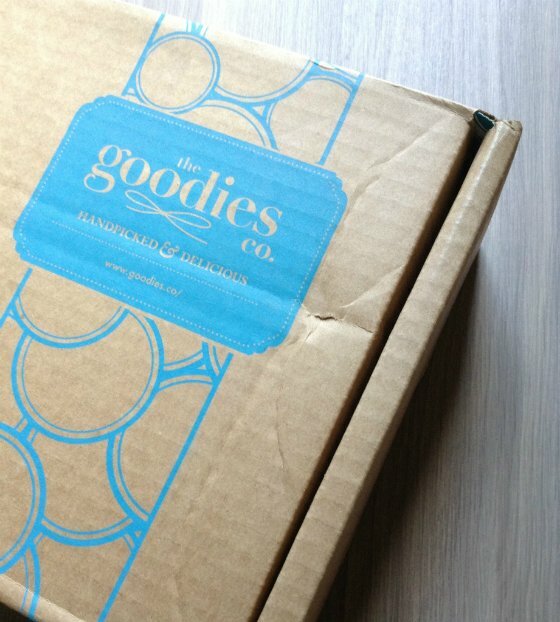 I think one of the best features of the Goodie box is the price tag – only $7 a month! 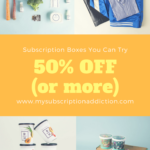 Many thanks to all the readers who recommend I give this box a try! The Products: Handpicked products selected by the Goodies Co. Ships to: only the continental United States. These were the first items I took out of the box, and I was sort of disappointed. While I don’t expect every item in all food subscription boxes to be healthy, I have grown to expect high quality food items. These candies are made with artificial colors and have zero nutritional value. Maybe I’m being too hard on these candies – but they just seemed out of place to me in a food subscription box. Ok – moving on! Yay – healthy items! I was so happy to see a full sized coconut water in this box. I love coconut milk, and while I don’t like the taste of coconut water by itself – I always blend it into smoothies for extra electrolytes and potassium. I love these pumpkin seeds – and the size of the bag made them a perfect snack to put in my purse! This coupon was a nice surprise – I eat avocado almost everyday so I will definitely put this to use! Verdict: For $7, I think Goodies Box is a great value – even with just the Coconut water and free Wholly Guacamole product I’m ahead! What did you think of the Goodies May box? I’ve had constant issues with the delivery of my box. Customer service is nothing short of AWFUL. No phone number to call, you have to email them. They tell you will TRY to respond within 72 hours. They don’t respond at all. I’ve left countless emails. The one response I got did not address my issue. I will be canceling. After reading te above posts, I had not realized they were affiliated with WalMart. It all makes sense now. I went to this website so excited to subscribe and then I saw it… WALMART. No way in hell I’m subscribing to a box associated with Walmart! I might be a little overboard when I say I could never ethically subscribe to Goodies Co simply because they are owned by Walmart. I just feel like when it comes to good food boxes, the smaller companies win out every time (as they should). I also would never subscribe to or use any products from the “Honest” Company. I’m with you on the Goodies box – I couldn’t order from Walmart either. Have you had a bad experience with Honest Co. or heard something negative about them? I’ve been a customer now for 3 months and love their products. Thanks for the info. In their defense, they don’t brand themselves as a nutritional box so it can’t be expected that everything is spot-on healthy. Of course that would be nice, though…. I got this as my first Goodies box, and am so happy with that. That Roasted Raspberry Chipotle Sauce was SO amazing. But I recommend buying it at Whole Foods…about 3 bucks cheaper. I loved my Goodies box! They keep getting better and better! My family loved the candy. Something for everyone in this box.